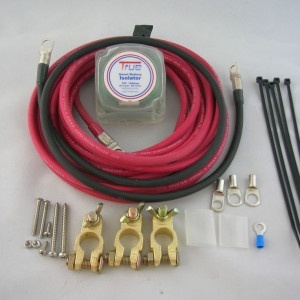 This is a great kit for adding that 2nd or 3rd battery to your system in your car, boat, RV or whatever you wish. Everything you need to do the job right yourself. It utuilizes the simplest and most advanced technology to keep all your batteries charged using the engine’s electrical system but isolating the starting battery so you never get stranded. The 12V dual battery kit uses the same relay we have installed in our boat and camper to keep the accessory batteries charged but isolating the starter battery system so it stays charged. The great thing about these is that you don’t have to reroute any alternator wires and they are all automatic. 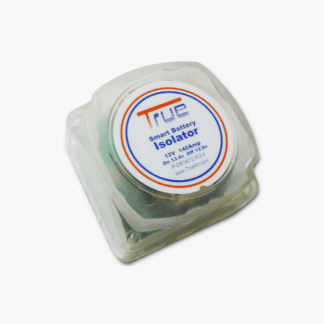 The 12v dual battery isolator kit allows for safe charging and separation of starting and auxiliary batteries in all Volt Marine, 4WD, Caravan and Solar applications.When the engine is started, starting and auxiliary batteries are separated allowing only the starting battery to be charged. When the charge voltage reaches 13.3 volts the voltage sensitive relay engages allowing both the starting and auxiliary batteries to be charged. This is indicated by the light in the top LH corner being illuminated. 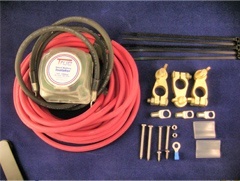 When the engine is stopped and the battery voltage falls below 12.8 volts the VSR disengages separating the start and auxiliary batteries, at this point the indicator light will be out and the 12v auxiliary battery kit continues to power any accessories without risk of draining the starting battery. The VSR also has Dual Sensing which senses the charge of both batteries. If either battery is receiving a charge, e.g. a battery charger is connected to the auxiliary battery; the VSR will engage and charge both batteries. 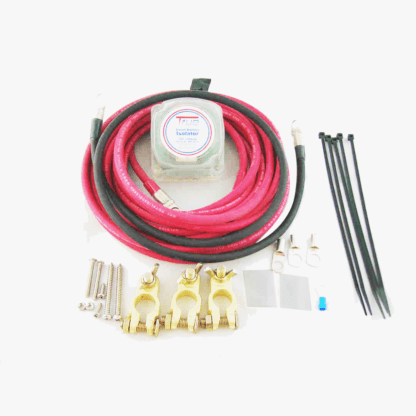 The 12v dual battery installation kit is easy to install and comes with all components and instructions required to complete the install. 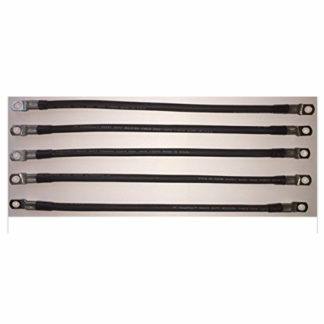 There is no need to cut into any factory wiring that may void the manufacturer’s warranty. Just had my son install your dual battery kit and 2 additional isolators to connect all of my additional batteries to the main engine’s charging system. I now have 5 batteries all automatically connected to the charging source from the two engines. The single dual battery kit provided us with enough cable to make all connections we just had to purchase a couple more cable ends. He figured it would take the entire day but he was done by noon so of course we had to go fishing to try it out. We ran two hours offshore then ran all the electronics as well as the appliances including the TV. My son kept monitoring the dual battery isolators & checking the charge in each battery. When we finished fishing the charge in the accessory batteries had dropped to 12.1volts. The main batteries were at 12.8volts. We ran into shore and again checked all batteries and all five registered 12.9 volts with the engines off. While running the engines and all isolators showing indicator lights the voltage at each battery registered 13.4volts. Seems it was a big success and I no longer have to remember to turn the manual battery switches. Next week we will be staying offshore for two nights we’ll really have the opportunity to test them. Just installed your marine dual battery kit in my boat to allow my second battery to charge when I’m running the main engine. Works great and had plenty of cable to reach the forward location of the second battery. Also discovered that my shore charger, which is connected to my second battery only, will now keep the main battery charged when I plug it in at home. Great kit great price.